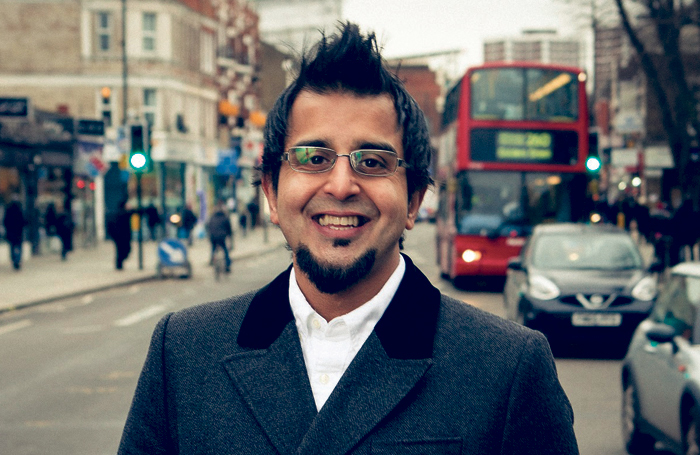 The Bush’s loss is the Southbank’s gain as Madani Younis departs the Uxbridge Road to take up residence in SE1  and the new role as creative director of Europe’s largest arts centre. That’s significant in itself, but no less significant is what Younis has achieved at the Bush since he arrived in 2012. He has not just overseen a capital project – one that has opened up the theatre to the community – but more importantly he has transformed what a new-writing theatre does, who gets to make the work and who gets to see it. He has dismantled barriers in more ways than one. Younis will leave a theatre that has not only given a major platform to writers and artists of colour, but which has also succeeded in doing well at the box office, winning critical acclaim and attracting a diverse audience, more than 60% of them from the local area. He has created a venue that is both an important local theatre and a pioneering national resource. His background as the artistic director of Freedom Studios in Bradford, an arts organisation which has always worked directly with – and in – the community, proved a game changer when he moved to west London. It changed our conception of what a new-writing theatre might do, what it might look like and how it might operate. There had been some questions over his appointment at the Bush – mostly from those who had never heard of Younis and Freedom Studios or set foot in Bradford and had a narrow definition of what a new writing theatre should look like and who should lead it. He was very different from the Cambridge-educated Josie Rourke. Younis quickly proved his artistic abilities, as well as his leadership skills. He spoke out boldly and regularly about the lack of diversity in British theatre, the lack of access of artists of colour to leadership roles, and the unwillingness of many in positions of power to give up their privilege. He didn’t just talk the talk, he walked the walk from his programming at the Bush – which has become increasingly confident, ambitious and surprising – but also in initiatives to encourage the writers, directors and artistic leaders of the future. If the scale of the task at the Southbank Centre is much bigger, facing many more entrenched interests, there is no doubt that he is up to it. His soft-spoken passion and rigorous thinking are infectious. Younis was the first Asian artist to head up a new-writing theatre in London, and he will be the first to take charge of one of our biggest and most important arts institutions. It will allow him to work on a bigger scale and in a far more cross-disciplinary way. It will be exciting to see what he does to push forward a venue that already feels more inclusive than many in London, but which still has far to go. This is definitely a loss for the Bush. But Younis’ own efforts to increase the access that artists of colour have to positions of power in UK theatre should help to ensure that the theatre continues as a beacon of diversity, and one from which many other venues could learn a great deal. More than that, at a time when so many artistic director posts are falling vacant – including at Home in Manchester, HighTide and the Traverse – this could be the moment when British theatre, and individual theatre boards, can prove that they are genuinely committed to increasing the pool of leaders and make bold choices that will ensure change is embedded in the industry. They just need to hold their nerve. Younis himself is the best advertisement of how bold appointments bring bold change. He was an unexpected choice when he joined the Bush. And look what a great success he made of it. There are others who are ready too. Let them prove themselves, just as Younis has done.